Trending at ILS 2,982.98eBay determines this price through a machine learned model of the product's sale prices within the last 90 days. The screen has green and white lines (faint) and a black spot, edges are scuffed, but everything else works. Battery cove r.
Samsung Galaxy S8 SM-G950 - 64GB - Coral Blue (Unlocked) Smartphone. Condition is Used. Dispatched with Royal Mail 1st Class. 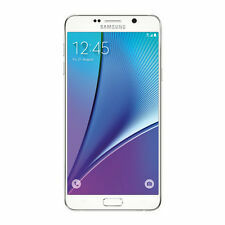 Samsung Galaxy Note 3 TD-LTE SM-N9007 - 16GB - White (Unlocked) Smartphone. Condition is Seller refurbished. Dispatched with Royal Mail 1st Class. 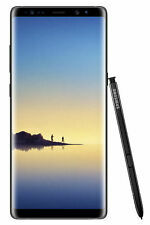 Samsung's GALAXY Note 3 LTE SM-N9005 specifications and features: this is a 5.7" (144.3mm) device with a FHD 1920 x 1080 screen resolution. The phone is powered by the Qualcomm Snapdragon 800 soc with a 2.3GHz configuration. Memory is 3GB, with the device offering 32GB, 64GB internal storage and up to 64GB of external memory. The GALAXY Note 3 LTE features Hall Sensor, Accelerometer, Geo-magnetic, Gyro-sensor and Light Sensor. The device measures 151.2 x 79.2 x 8.3mm and weighs 168g. Unlocked to all networks. Ive looked after this phone very well, and screen is perfect. 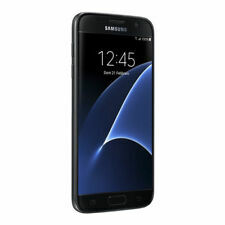 Samsung Galaxy S6 SM-G920F - 32GB - Black Sapphire (O2) Smartphone. 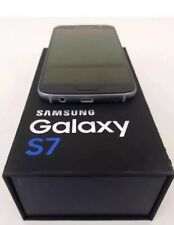 Great condition.. No marks or scratches.. Comes boxed with charger and earphones..
good condition SAMSUNG GALAXY S7 G930f 32GB UNLOCKED BLACK 4G PHONE. Condition is Seller refurbished. Dispatched with Royal Mail 1st Class.phone only deal with no box or no charger .comes with 12 months warranty . Condition is Used. A1 CONDITION always been in phone case and. Pl e as e note strictly ' Sold as faulty'. N ew cl e ar prote ctive gel case cover. Storage 64GB. Carriers AT&T UNLOCKED. Samsung Phones. Samsung Phones (57). Connectivity 4G LTE, GSM, CDMA, HSPA , 802.11a/b/g/n/ac Wi-Fi. Load - Battery. Battery 4,000mAh. Rest Assured. Trending at ILS 988.35eBay determines this price through a machine learned model of the product's sale prices within the last 90 days. Condition is Used. - Super AMOLED screen. Also included are two back housings, a plastic cover and a Nillkin hard cover, shown in the last two photos. Hello all. - Multi-pressure S-pen. On the right hand edge of the screen. Samsung Galaxy Note 4 SM-N910F - 32GB - Black (EE) Smartphone. Condition is Used. Dispatched with Royal Mail 2nd Class. In used condition some scratches on screen and a crack on glass bottom left corner and wear around edge (see pic) I've charged the phone and there seems to be an issue, not sure if it's the software but phone freezes from time to time for a few seconds when using the touch screen. So selling as spares or repairs. comes boxed with fast charger/ USB cable/ NO ear phones (lost) plus instructions. also has latest software update installed. Thanks for looking. Trending at ILS 1,649.61eBay determines this price through a machine learned model of the product's sale prices within the last 90 days. (Condition is Used. The good news is, however, it works 100%. No issues what so ever. You could fix the screen and the phone is 100% :). LIMITED EDITION CAMO BLUE Samsung S8 Active G892A GSM FACTORY UNLOCKED! This Limited Edition Camo Blue S8 Active is for GSM Networks only! GSM Carriers include, but are not limited to. Trending at ILS 1,796.96eBay determines this price through a machine learned model of the product's sale prices within the last 90 days.